In recent years, the UK has significantly improved its ability to successfully deliver high-profile major capital programmes. 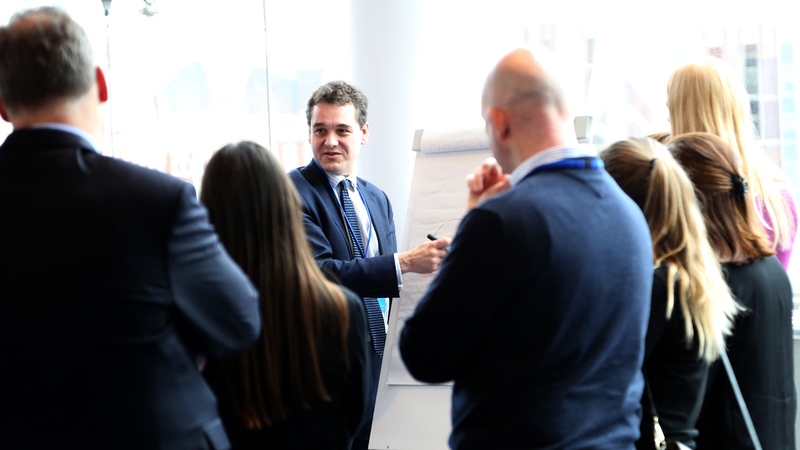 The Major Projects Leadership Academy was created in 2012, to build the skills of senior project leaders across government, giving them the knowledge and support network to carry out complex projects more effectively. Lessons we’ve learned from those complex projects have been applied to the design of subsequent programmes. For example, common elements that emerged from the Olympics and Crossrail are being used to inform the design of the delivery arrangements for HS2. The Infrastructure and Projects Authority recently drew together insights from experience to inform the design and delivery of future major capital programmes. It’s based on a review of case study experience, and discussions with leaders from the programmes. It shows how the community has successfully worked together to improve the delivery of major capital programmes. But we know that the focus of the major projects is changing. Less than half of the projects in the portfolio are now classified as large capital projects, for which requirements can be set well in advance. 95 of 140 projects in the major projects portfolio are categorised as transformation, technology or service delivery projects. These programmes require different approaches from capital programmes to meet users’ needs and manage risk. Naturally, many of them are enabled by a significant digital component. The outcome of the recent Spending Review calls for a profound change across government, going beyond incremental business process improvement or building online front-ends. These transformations will fundamentally change Departments’ operating models, redefining the way government interacts with citizens, and at the same time transforming the way government organises itself behind the scenes to provide those services. Departments are accountable for those end-to-end business transformations. And it is those transformations that provide the context for the collaboration between Departments so they can take full advantage of the opportunities of digital, data, and technology. As Stephen Foreshew-Cain set out, this two-way relationship is not about computers, it’s about people. So, recognising the critical role of the community in major capital programmes, we’re now building the community which will work together to improve the delivery of business transformation. Chris Ferguson and Kevin Cunnington’s blog introduced the cross-government Transforming Together community to join up delivery and learn from each other. Our mantra is that It’s about doing the right work, in the right way, in the right places, with the right people. And everyone in government has a part to play. 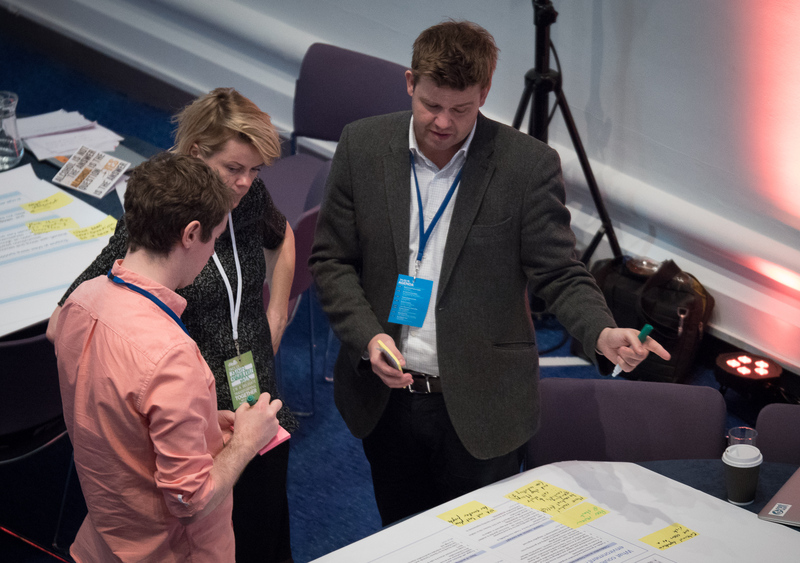 Teams all over government have already been sharing and collaborating for some time on digital services, user research, platforms, standards and everything behind the scenes that brings them all together. This has been happening both formally and informally, and it’s been one of the great successes of the last few years. We recognise that we now need to do more to support the people working on business transformation across government. We’ve started to bring together a community which will bring transformation into focus, and set out what we need to do to give ourselves the best chance of successful delivery. We started out with a small group of leaders from a range of departments. Through a series of working sessions at the end of 2015 this group established common themes and shaped a series of bigger events. Norman Driskell, CDO at the Home Office, wrote a blog about the most recent big event we held, and makes the fundamental point that transformation is “so much more than digital”. There is also a video from this event, which gives an insight into the day. At that event, I presented some of what we had learned so far. We later hosted a working session to establish what would have the biggest positive impact on the transformation community. The important themes were around creating a support network, creating a common language and sharing ways to explain our work to stakeholders, and exploring what it would be most useful to share between departments. 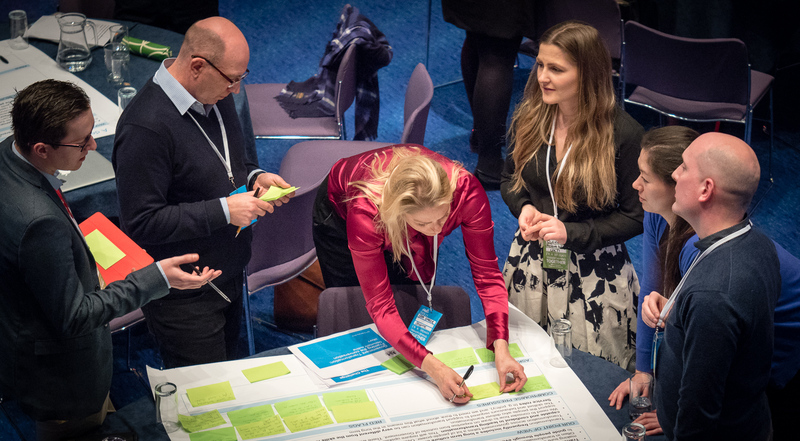 At the second community event in February we worked up the detail and shared it more widely at a breakout session, where colleagues had some great conversations about how to make it work best for them. The material we’ve created so far isn’t intended to be a textbook. The aim is to build understanding and prompt a new conversation about effective transformation. We’re using the work now to focus our efforts on what we need to do to successfully deliver the transformations we are embarking on. It’s been critical to the success of this work that it is the shared view of a large number of people, with a diverse range of perspectives represented. The process of creating it has been a great way to bring together a group of people with common concerns, helping them find experts and share what works. We’ve been getting positive feedback from departments that it’s helping them already. We’ve also been sharing and discussing the work more widely, for example at a recent Major Projects Leadership Academy (MPLA) and Project Leadership Programme (PLP) Alumni event. We will share more on this blog over the coming months. There are some fundamental issues which have been highlighted by our work so far, and we now plan to take some real concerns and work with the wider community to make proposals for how we can address them, such as working with the community to understand some of the challenges of delivering major programmes and transformations which span departmental boundaries. We want to create some workable proposals for how we can address some of the blockers that we are all facing. Across government, the transformation community has come a very long way during the last few years. There is a growing group of like-minded people at all levels of government, who want to get on with delivering what we have committed to. Based on this work across the community, we have also established a senior group to focus on supporting the business transformations across government. 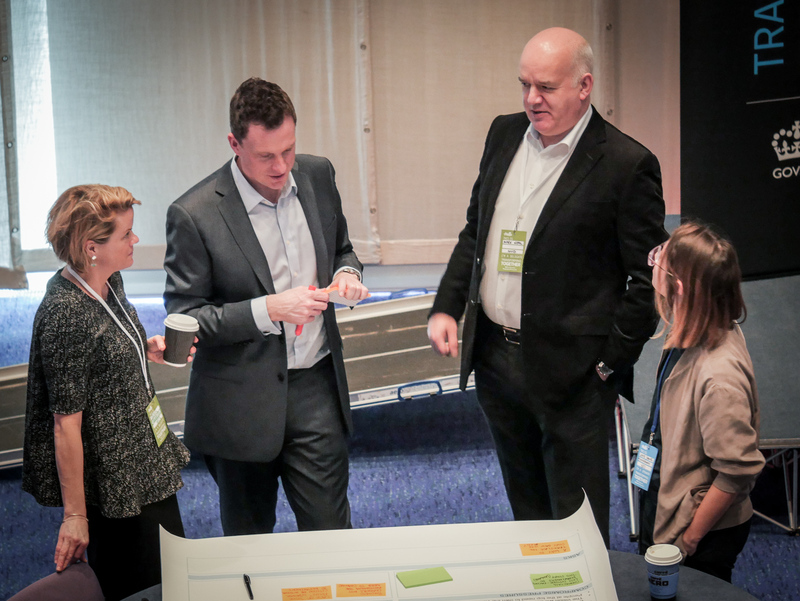 This Transformation Peer Group is co-chaired by Kevin Cunnington, Director General for Business Transformation at DWP, and Tony Meggs, Chief Executive of the Infrastructure and Projects Authority. Initially the group is made up of transformation leaders from a small number of departments, with representation from the Government Digital Service. Helping departments to deliver, for example by sharing good practice and expertise, and collaborating on transformations which go beyond the departmental boundaries. Improving the “enabling environment” in which transformations take place, for example understanding and refining the governance, approvals and assurance environment for business transformation. Providing assurance that our transformations are on track. Over time, we expect the group will expand to include broader departmental representation. Across the transformation community at all levels, there’s a real sense of excitement about this work. Everyone is committed to greater sharing of transformation expertise across government, and to providing better support to departmental transformations, especially where they cross traditional boundaries. There’s a shared recognition that we’ll do this work much better if we collaborate and learn from one another. We’ll be sharing more here on the Transforming Together blog as the community establishes itself. Follow Andrew on Twitter, where we are using the hashtag #TransformingTogether, and sign up here for email updates from this blog.